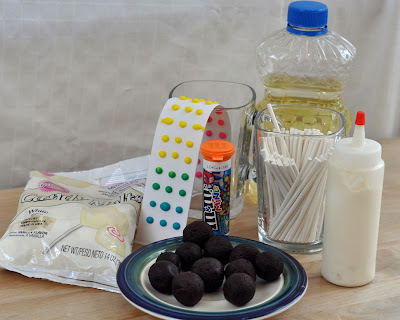 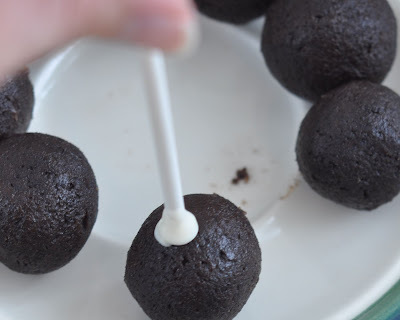 Click the link to see a complete tutorial on how to make cake pops. 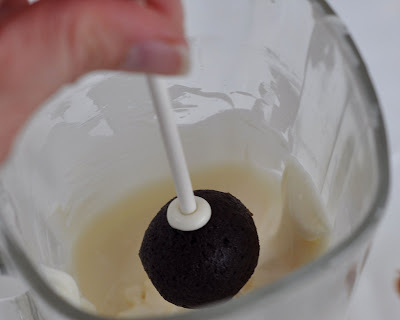 Dip the cake pop in the melted candy, and gently tap the stick on the side of the mug to remove some of the excess candy. 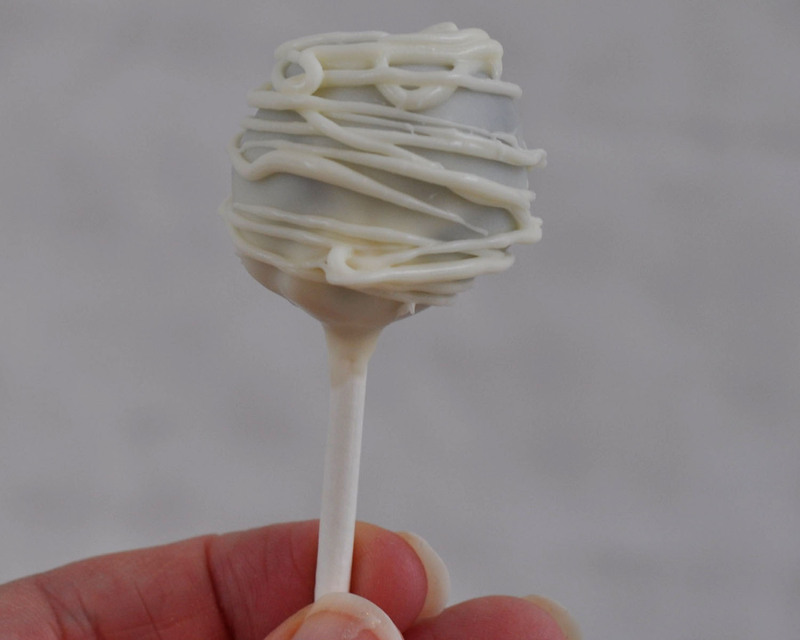 Drizzle the cake pop with white candy. 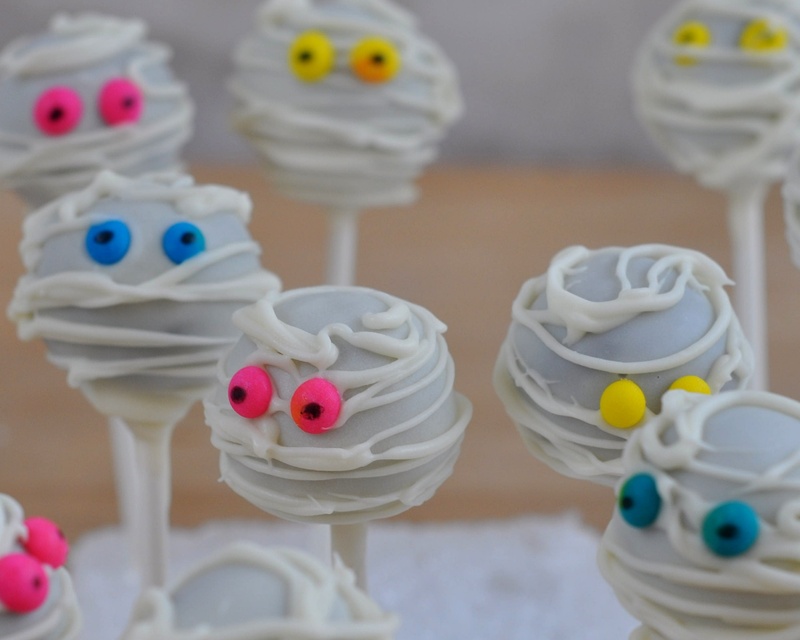 While the candy drizzle is still wet, stick in the eyeballs. Use a food-safe icing marker to make little pupil dots on the eyes if you wish. 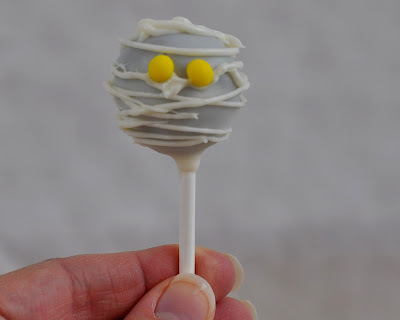 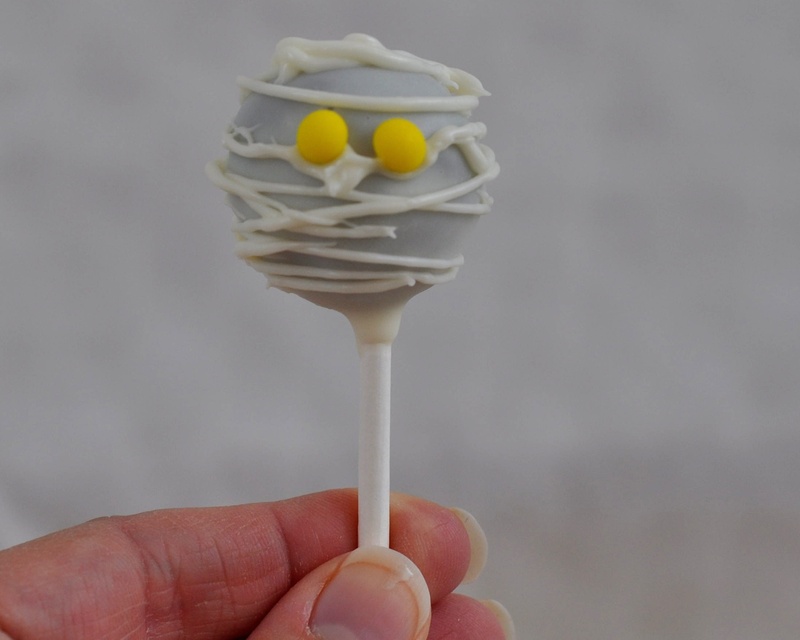 The easiest Halloween cake pop of the bunch right here! !